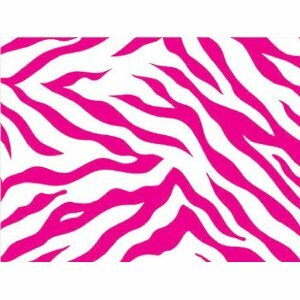 Trendy Hot pink & White Zebra print in high quality wrapping paper!! It will come to you ROLLED not folded flat, so no crease marks. Wraps approx. 8-10 shirt sized gifts! Premium commercial quality gift wrapping paper in gloss finish. Wide selection of the latest patterns and animal prints to choose from!